I have put a little over 4000 miles on the old Harley so it's nicely broken in. GoGoCycles would also encourage bikers to submit a review of the used Harley motorcycle for sale to help potential buyers make informed decisions and to benefit the biker community as a whole. 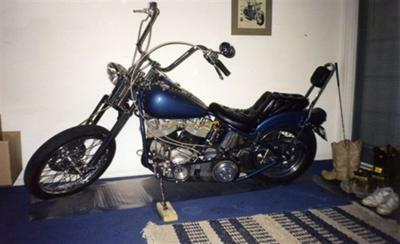 The 1976 Harley Shovelhead for sale is located in Surry VA near Norfolk VA Virginia. Price $8950 or I might trade for a small Pickup Truck, Jeep, raised golf cart or an enclosed trailer. Call me (no e-mail) 757 3seven6 04eight3 and mention that you found my classified on GoGoCycles Used Motorcycles for Sale and I will get back with you as soon as possible.